Individual concert tickets are $10.00, $6.00 Seniors and Students. We need patrons and advertisers. Look at the benefits! Individual tickets are available for all of our concerts but our subscription rate provides great savings as well as helping to assure the ongoing financial stability of our society. All concerts are held at St. Peter the Fisherman Church, Jackson Street in downtown Fairmont, WV at 3:00 PM or 7:00 PM on Sundays. St. Peter may be entered with low physical effort through the side entrance and an elevator has been installed next to the Jackson Street entrance. Contact Dr. Michael Schroering or Brenda Giannis for advance tickets. Phone No. 304 290-2826 Tickets are available at the door. St. Peters is a large church with beautiful acoustics. We'll see you there. These programs are presented with financial assistance from the West Virginia Commission on the Arts and the National Endowment for the Arts. We thank all of you for your support. Our new season combines the traditional (harpist, pianist, early music) with the absolutely unique (Russian Duo, Brasshoppers). 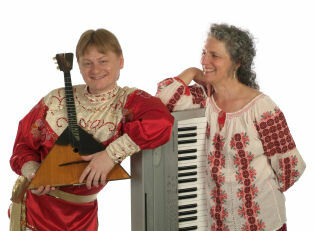 Our thirty-fifth season opens with a celebration of cross cultural creativity featuring the Russian Duo, Oleg Kruglyakov, balalaika virtuoso from Siberia and Terry Boyarsky, American concert pianist and singer. Their remarkable combination of works written for the three stringed instrument from the 1800s as well as classical repertoire marks a first for our society with their blend of folk, traditional, classical and world music. We are thrilled to have them appear in Fairmont. 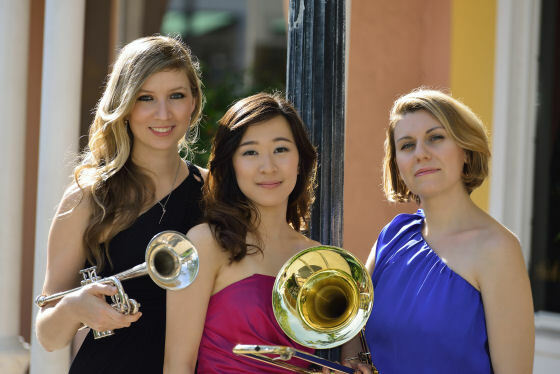 Known for their “energetic and kinetic programming” Brasshoppers is a trio composed of trumpeter Mary Elizabeth Bowden, trombonist Zenas Kim-Banther and pianist Milana Strezeva. These gifted women hail from diverse points around the globe and are educated at some of the finest music schools in the world. The Trio’s music portrays an eclectic blend of traditional classical music and jazz inspired arrangements of standards and popular tunes. Performing with two lutes, vocals, colascione and percussion, the quartet Ayreheart continues our presentation of early music. 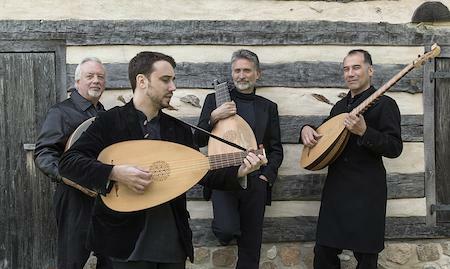 Ayreheart was founded by GRAMMY nominated lutenist and composer Ronn McFarlane and plays the music of Renaissance composers John Dowland, William Byrd, and John Johnson as well as old ballad tunes from England, Scotland and Wales. The Washington Times said “…some of the most ravishing lute playing to be heard anywhere”. Our season closes with the lovely young harpist and pianist Katherine Siochi. 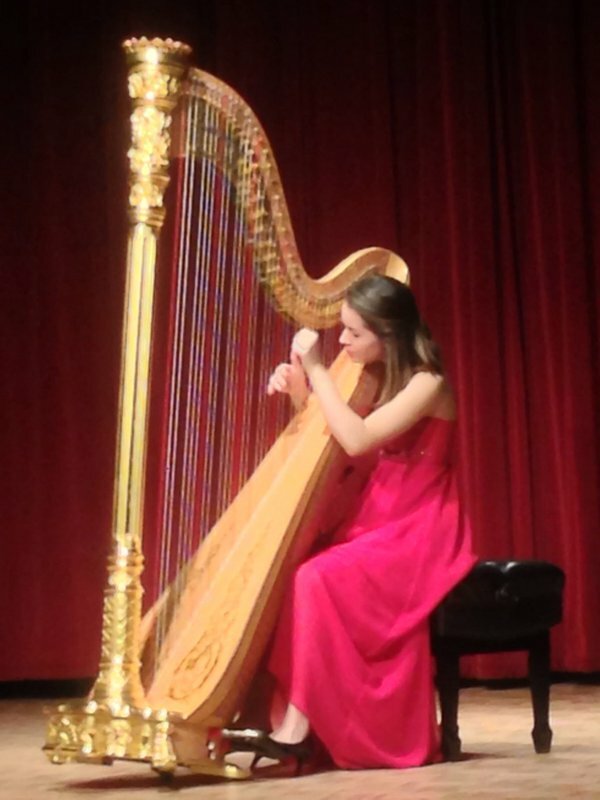 Katherine is an award winning classical harpist residing in New York City who continues to perform as a piano soloist and chamber musician. She has performed in major venues including Carnegie Hall, Orchestra Hall Minneapolis, and more, and she appeared on NPR’s radio program “From the Top” in both 2009 and 2010.
in downtown Fairmont, West Virginia. Fairmont Chamber Music Society, Inc. is recognized as a publicly supported organization under Section 501(c)(3) of the Internal Revenue Service Code. As such, donors who contribute to the Foundation may deduct their contributions as provided in Section 170 of the Internal Revenue Service Code. Bequests, legacies, devises, transfers or gifts to the FCMS Inc. or for its use are deductible for Federal estate and gift tax purposes if they meet the applicable provisions of sections 2055, 2106 and 2522 of the Code. In "English", this means that a donor may contribute to the FCMS, Inc. and take a tax deduction for that donation on their Federal Income Tax return. Copyright 2003-15 ©, All Rights Reserved. Members: Ruth Brooks, James DeLong, Dr. Constance Edwards, Robert Ellis, Dr. Michael Fulda, Dr. Patrick Joyce, Joyce McVicker, Kenneth Miller, Frances Moody, Eric Pulice, Joni Schroering, Dr. Stephen Smigocki, & Captain Thomas F. Smith,USAF,retired.